Colistin resistance was associated with infrequent spontaneous mutations that reduce bacterial fitness until 2015, when the plasmid-mediated colistin resistance gene mcr-1 was discovered in China (Liu et al., 2016). The mcr-1 gene was reported for the first time in Southern Europe in 2016 in nine strains of Escherichia coli and Salmonella enterica from farm animals (poultry and pigs) (Quesada et al., 2016). Currently, eight different mcr genes have been reported (mcr-1 to 8) (Garcia et al., 2018) (Yang et al., 2018) (Wang et al., 2018). Nevertheless, only mcr-1, 3, and 4 have been found in Spain (Hernandez et al., 2017) (Quesada et al., 2016) (Carattoli et al., 2017). Food-producing animals, particularly pigs, have been shown to be potential reservoirs for the dissemination of colistin resistance (Garcia et al., 2018). Antimicrobial chemotherapy, particularly colistin, has been the treatment of first choice to control Gram-negative bacteria in pig production, habitually used as a prophylactic approach (Moreno, 2014). Paradoxically, colistin is now considered to be a last resort antibiotic in human clinical practice. In 2013, the European Medicines Agency (EMA) recommended to practice responsible use of colistin, limiting its use to the treatment of animal diseases and avoiding its use for metaphylaxis (European Medicines Agency, 2013). Similarly, in July 2016, the EMA called to minimize the use of colistin in animals in the European Union (EU), aiming for a target at country level of 5 mg/population correction unit (PCU) and a desirable level of 1 mg/PCU (European Medicines Agency, 2013). Consequently, in September 2016, the Spanish Agency of Medicines and Medical Devices (AEMPS) established a voluntary strategic plan “Programa Reduce Colistina” to reduce colistin use in pigs within the Spanish Plan against antibiotic resistance (PRAN) (Plan Nacional Resistencia Antibióticos (PRAN), 2018). A total of 70% of Spanish pig production companies joined the program, representing 80% of Spanish pig production (AEMPS, 2018). We aimed to early assess the impact of these recommendations and how the drop in antibiotic use has influenced colistin resistance levels in pigs in Spain. Miguela-Villoldo P., Hernandez M., Moreno MA., Rodriguez-Lazaro D., Quesada A., Dominguez L. and Ugarte-Ruiz M..
Laboratorio de Biología Molecular y Microbiología. Instituto Tecnológico Agrario de Castilla y León (ITACyL). Tecnología de los Alimentos. Escuela Técnica Superior de Ingenierías Agrarias. Universidad de Valladolid (UVa). Unidad de Microbiología. Departamento de Biotecnología y Ciencia de los Alimentos. Universidad de Burgos (UBU). Departamento de Bioquímica, Biología Molecular y Genética. Facultad de Veterinaria. Universidad de Extremadura (UNEX). Instituto Universitario de Biotecnología Ganadera y Cinegética (INBIO G+C). Universidad de Extremadura (UNEX). 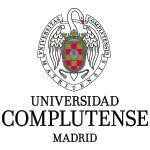 AUTHORS: Miguela-Villoldo P., Hernandez M., Moreno MA., Rodriguez-Lazaro D., Quesada A., Dominguez L. and Ugarte-Ruiz M..